Fresh data from the Kepler space telescope shows at least a fifth of stars surveyed have Earth-like planets in a "Goldilocks" orbit – a habitable sweet spot that's not too hot or too cold for liquid water – and that's just the stars we can see. Of the 150,000 stars in our Milky Way galaxy snapped by the NASA probe in the past three years, more than 3,000 planets have been identified. Scientists then focused on the stars similar to our Sun and tried to find planets between one and two times the size of Earth in those stars' Goldilocks orbital zones. Their findings suggest that 22 per cent of those stars had planets about the size of Earth that could harbor liquid water – a basic building block for life as we know it. The team said the actual total could be much higher given the difficulty involved in finding them. 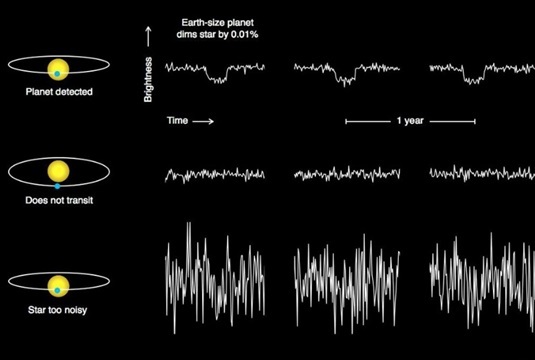 Kepler relies on seeing planets pass directly in front of the target star on the same orbital plane as the telescope. 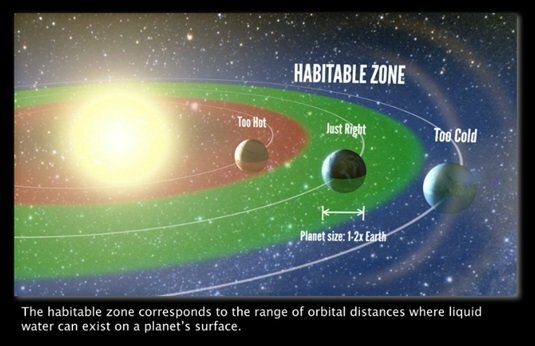 "What this means is, when you look up at the thousands of stars in the night sky, the nearest Sun-like star with an Earth-size planet in its habitable zone is probably only 12 light years away and can be seen with the naked eye. That is amazing," said UC Berkeley graduate student Erik Petigura, who led the analysis of the Kepler data. 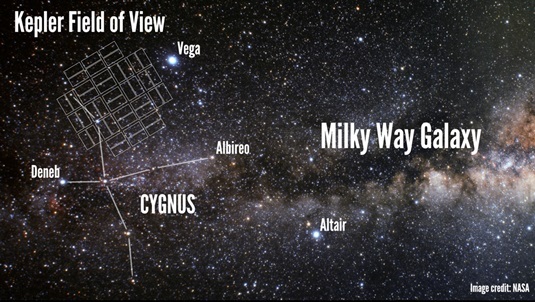 The team looked at 42,000 stars that are similar to Sol and found 603 planets orbiting them at various distances. Of these ten were Earth-sized and distant enough from their stars to harbor liquids suitable for creating life. Geoffrey Marcy, a professor of astronomy at Berkeley, extrapolated the findings across the open void of space, adding: "With tens of billions of Earth-like planets in each galaxy, our entire universe must contain billions of billions of Earth-like planets." Is this the location of Nu-Earth? However, that's just planets that can support life – there's no guarantee that they actually do or that they could support human existence. Finding that out is going to be a problem for the next generation, according to Natalie Batalha, Kepler mission scientist at NASA Ames Research Center. She explained that there isn't any existing hardware, either on Earth or in orbit, that can answer the question of whether these smaller planets are habitable, but both the Hubble and Spitzer telescopes have been able to analyze the composition of the larger gas giants found in outer space. "Is there hardware capable of detecting the atmosphere and its constituents of an Earth-like planet? The answer is no," she told El Reg. "But there are plans on the books to do exactly that and within the next 50 years we're going to see the characterization of their atmospheres.